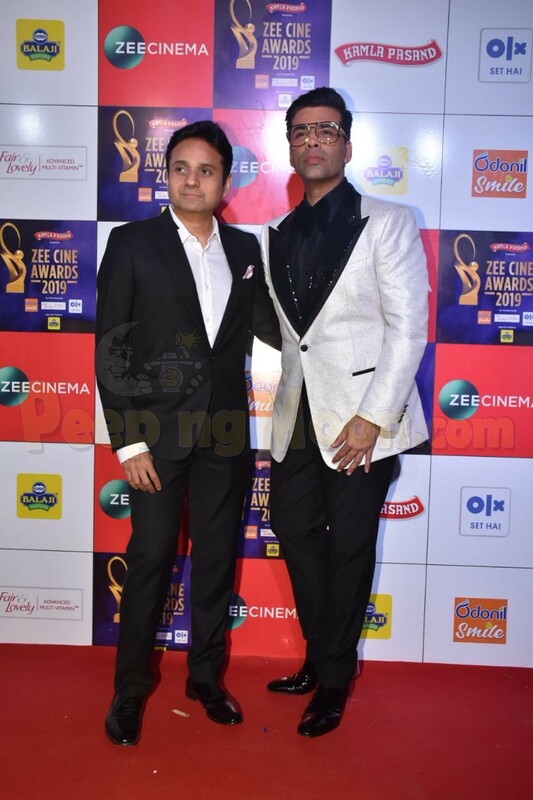 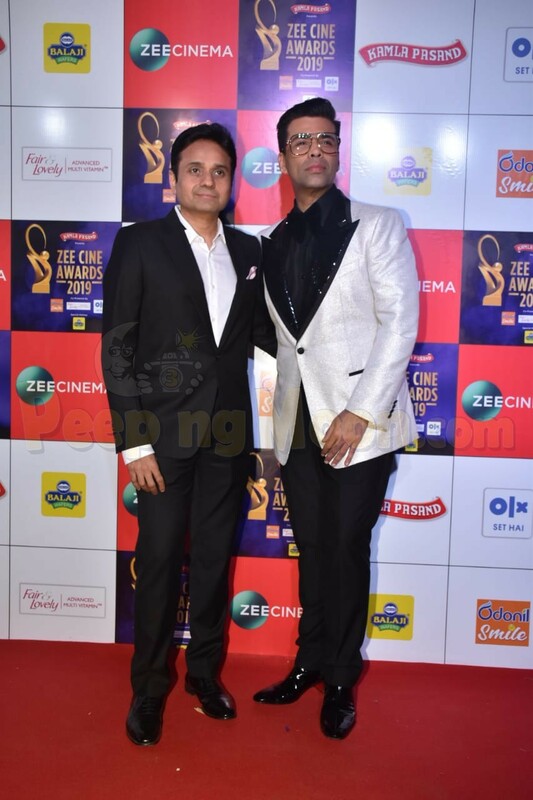 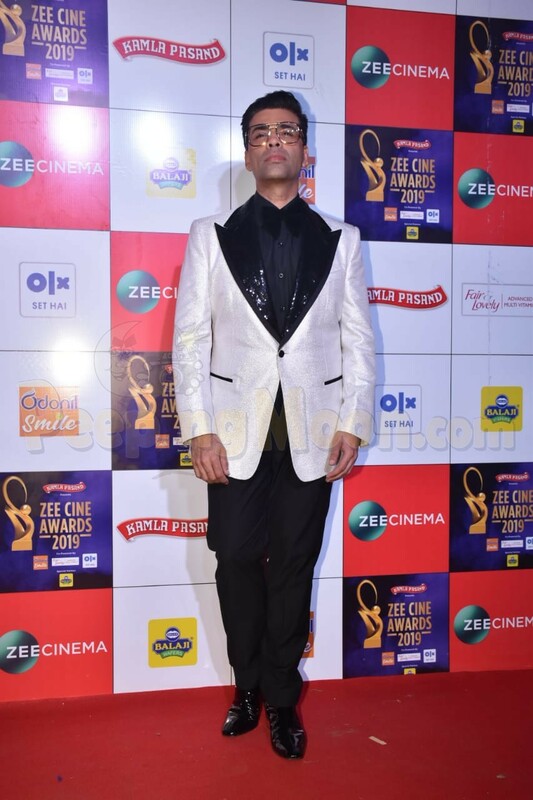 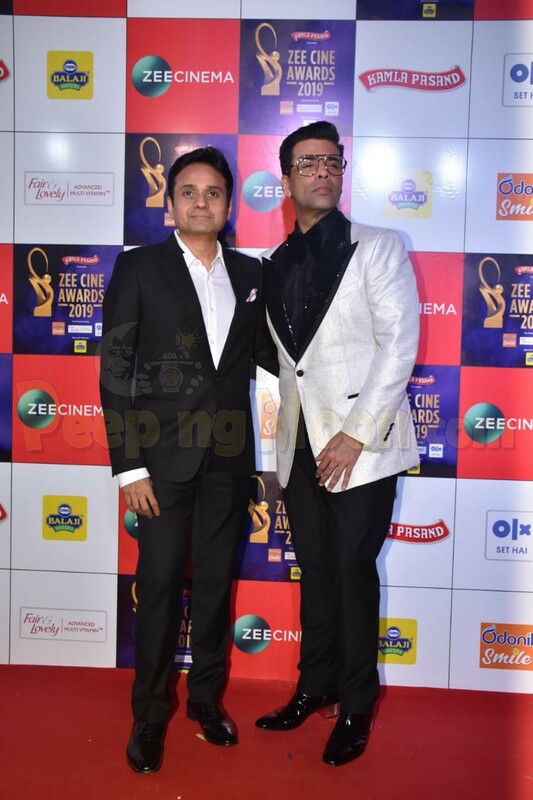 The who’s who of Bollywood are at the Zee Cine Awards 2019 tonight. Karan Johar arrived with his Dharma Productions CEO Apoorva Mehta. 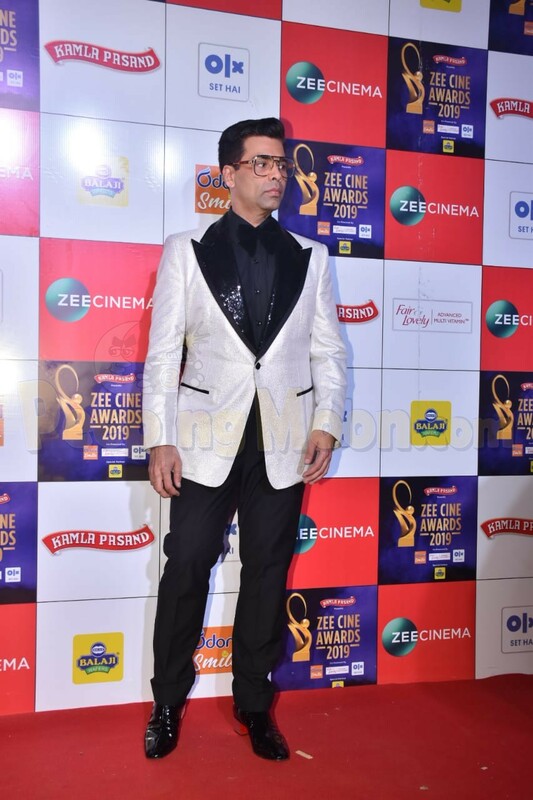 KJo looked dapper in a white suit and black pants. 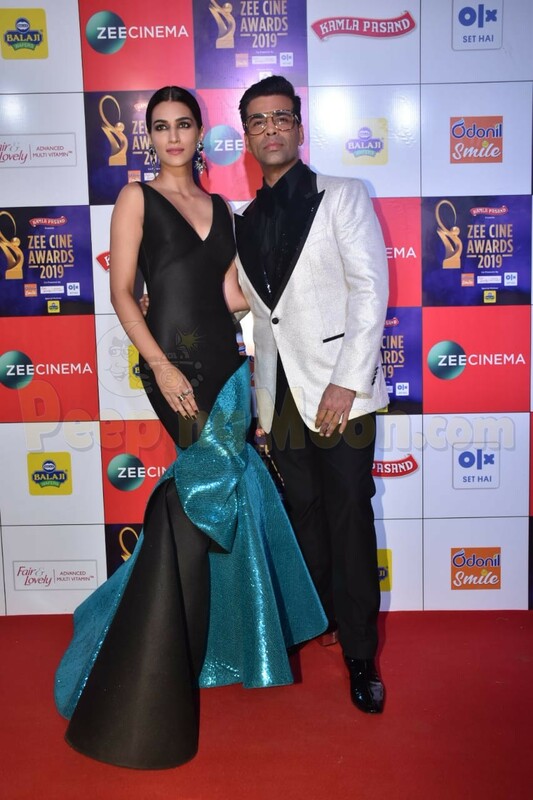 Kriti Sanon looked really hot in a black and teal gown. 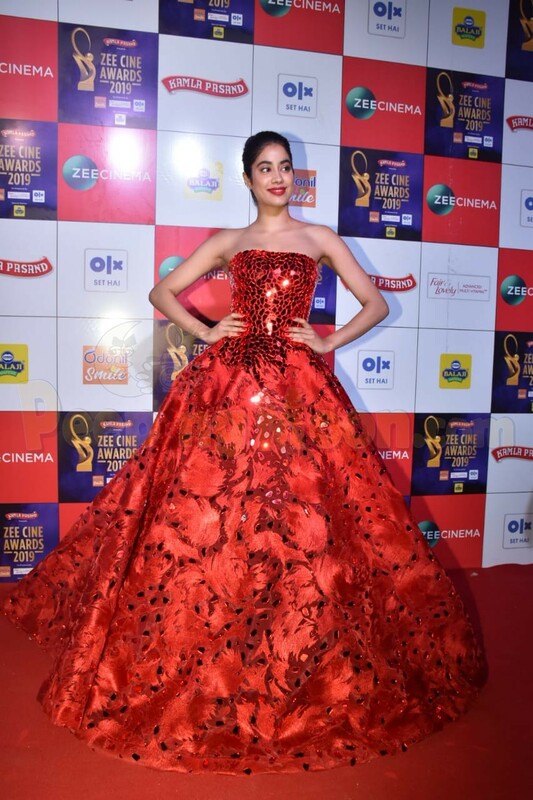 Janhvi Kapoor looked ravishing in a red embellished gown.